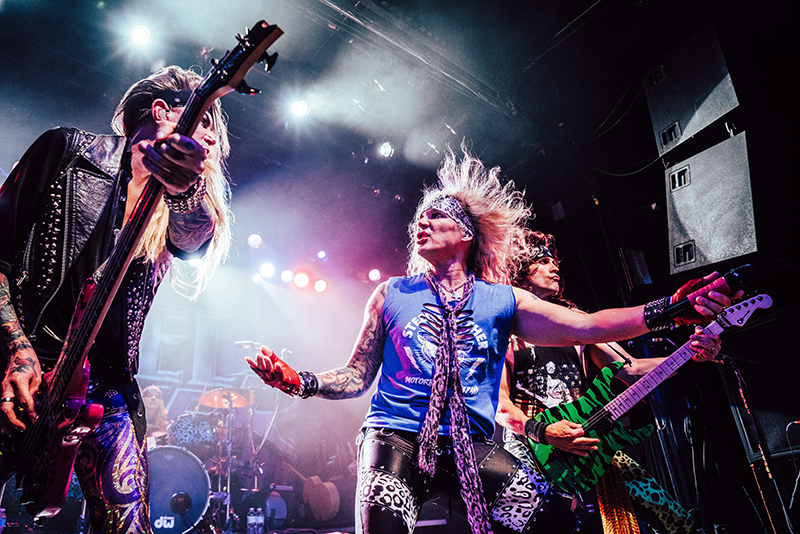 New York City <3's hair metal. 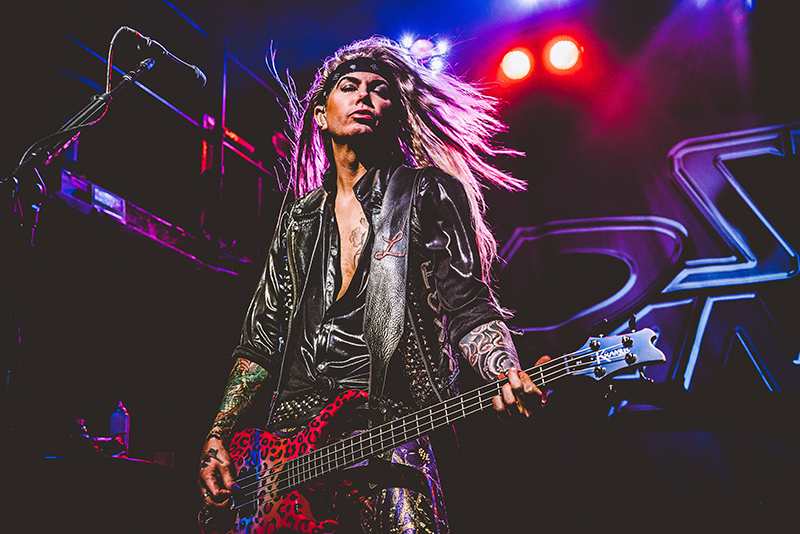 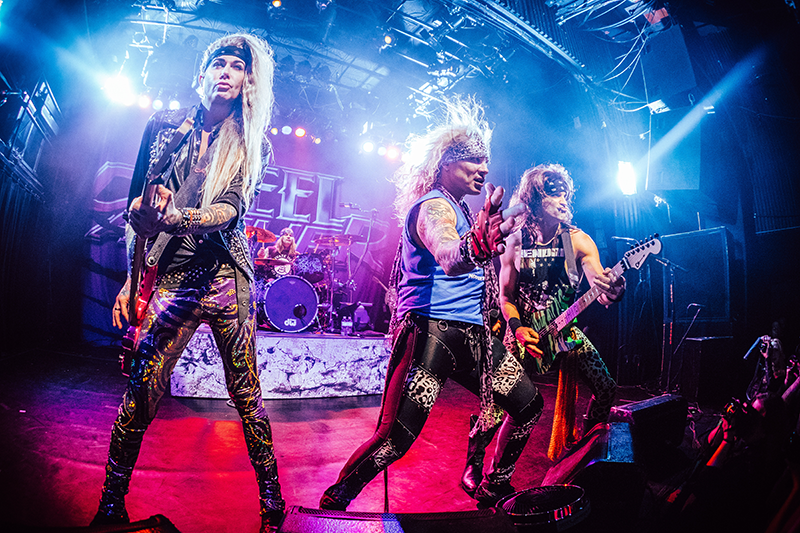 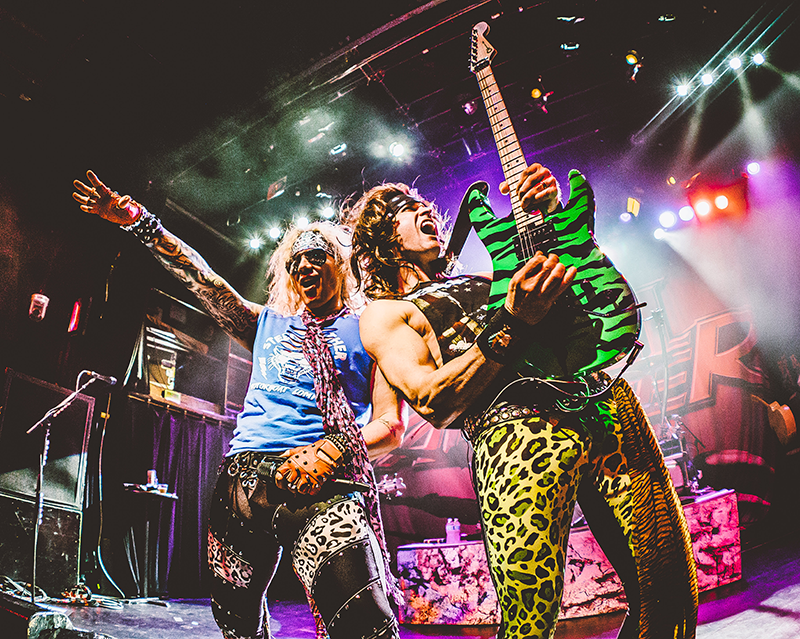 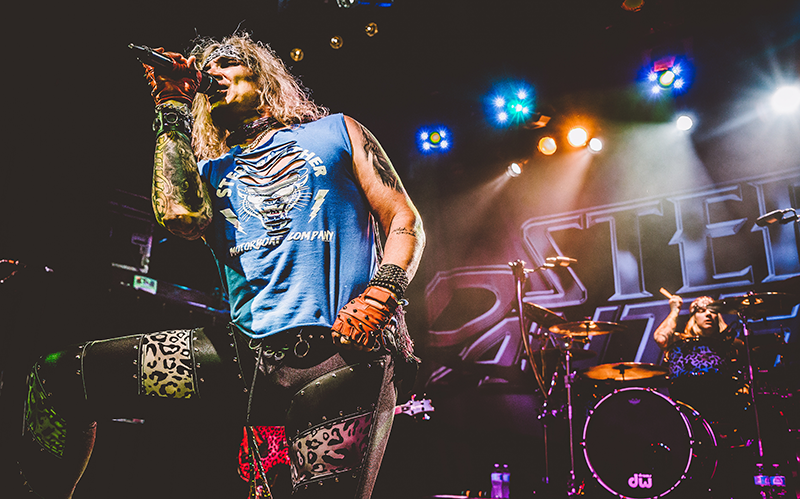 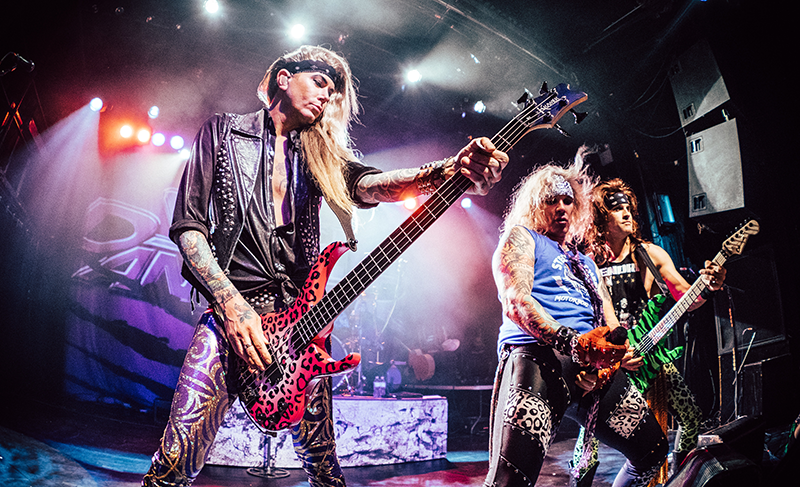 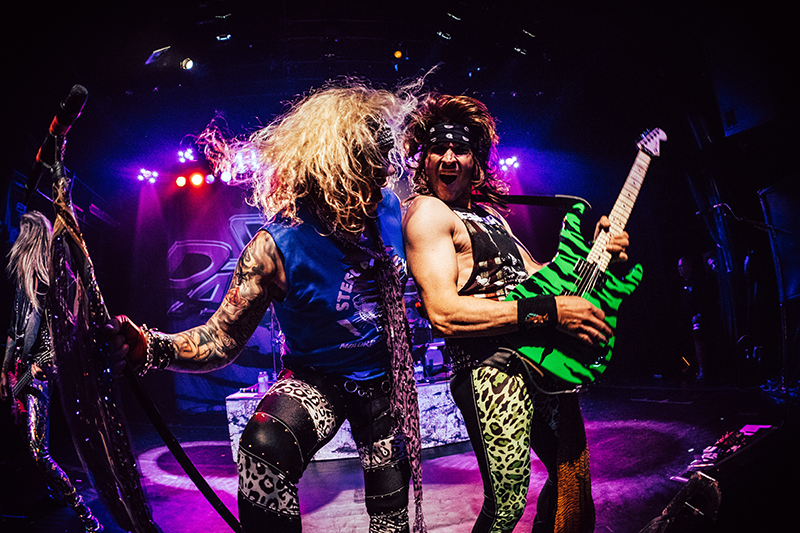 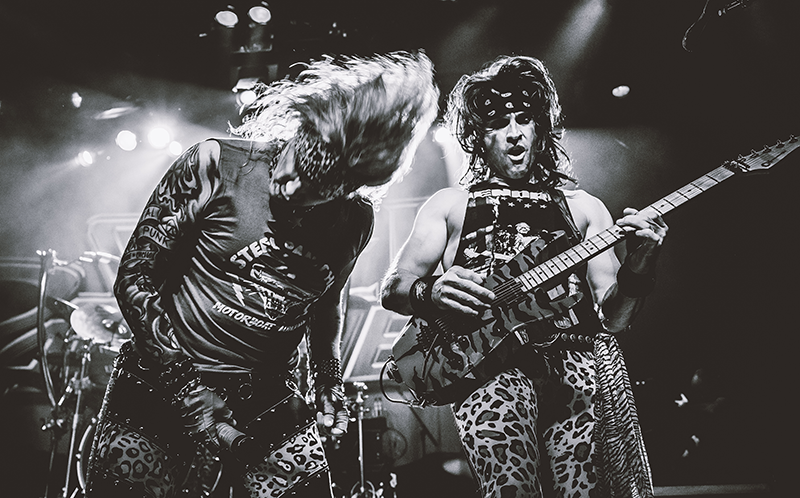 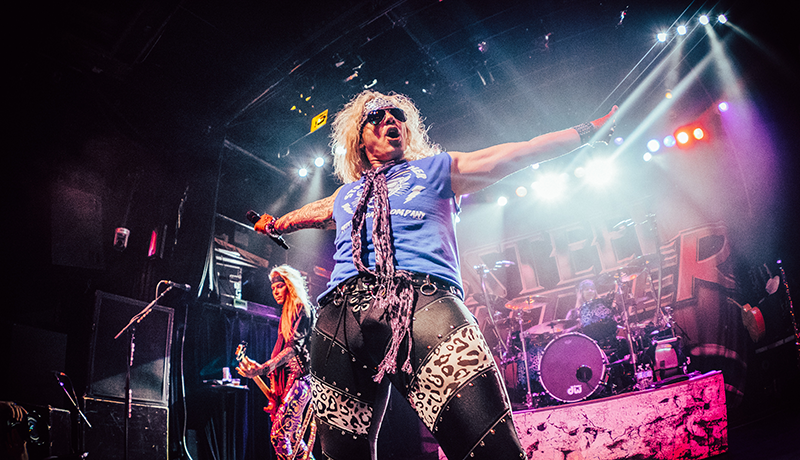 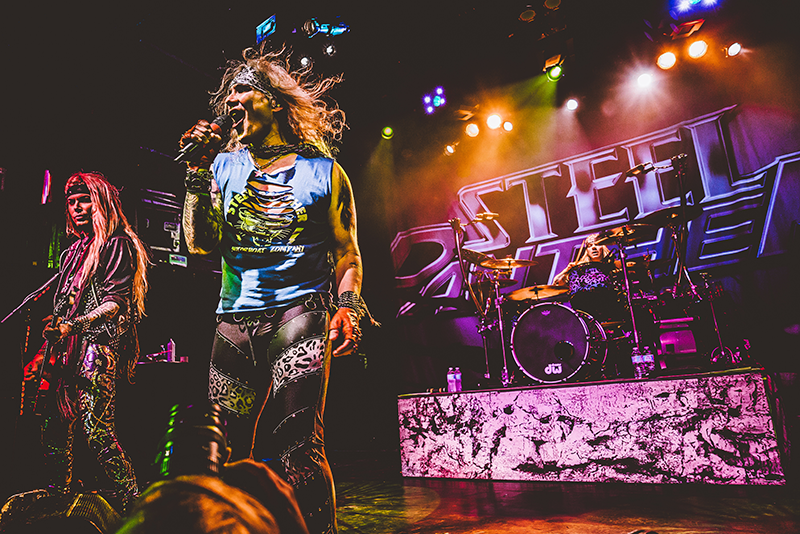 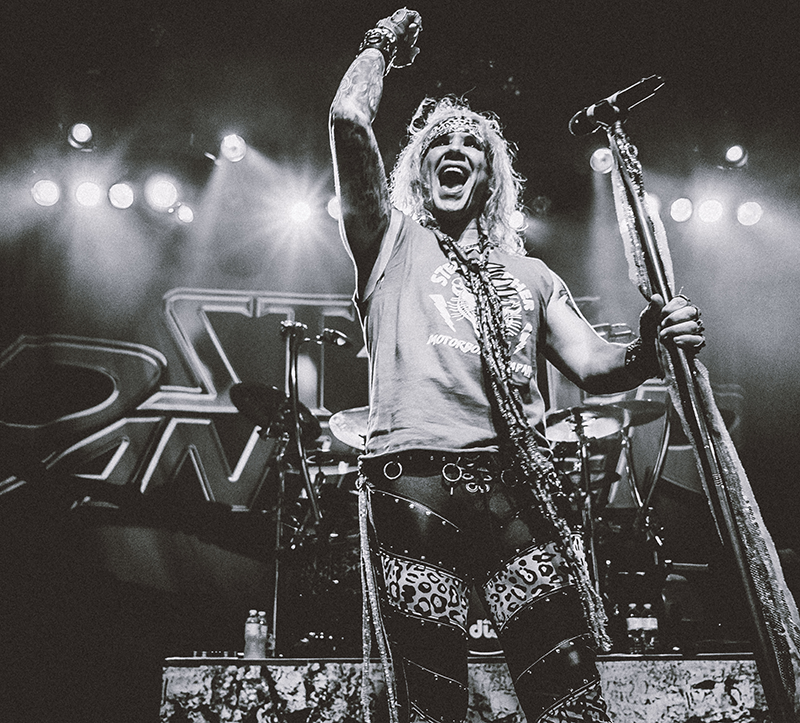 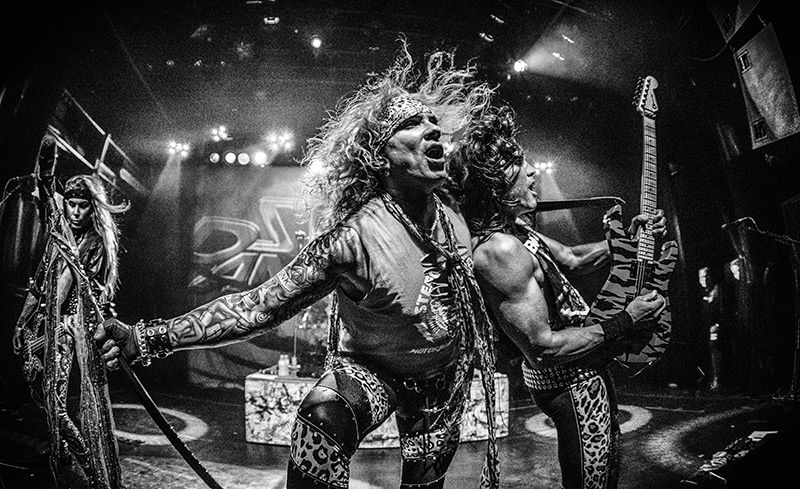 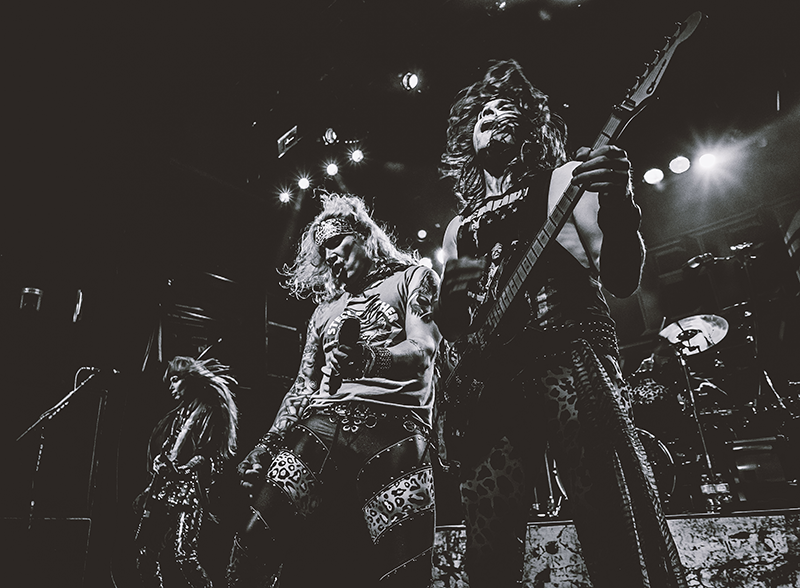 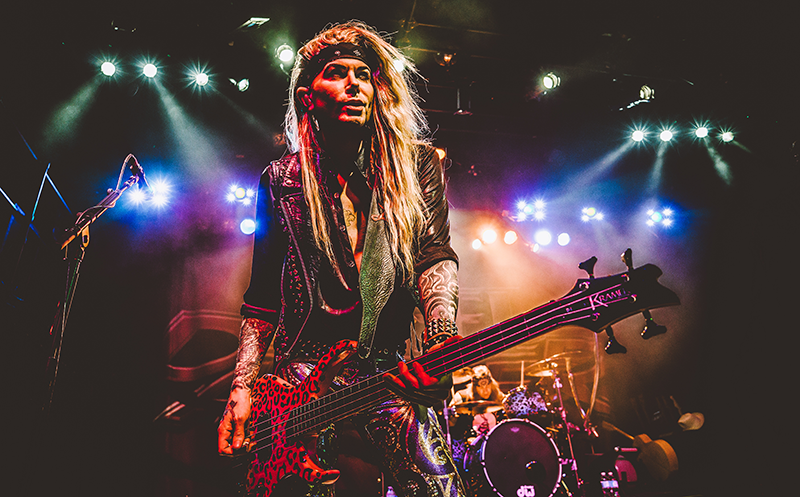 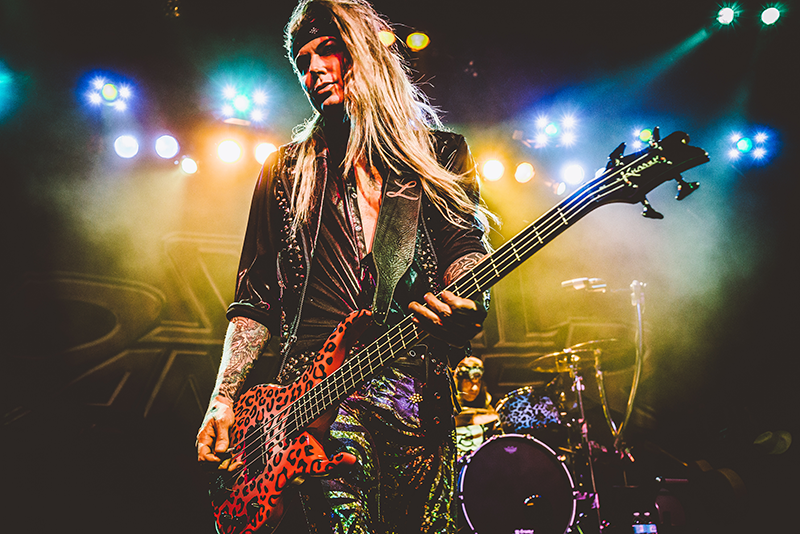 '80s glam rock was alive and well in New York City on April 6 thanks to the comedic rock band, Steel Panther. 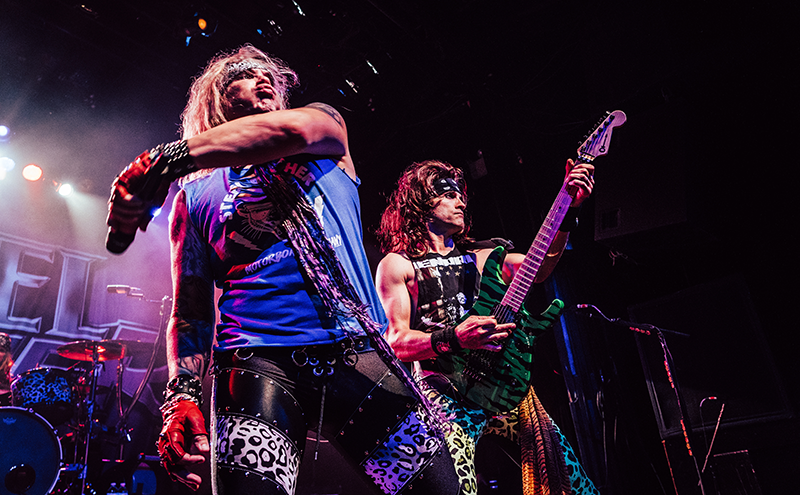 Irving Plaza morphed into a time machine for the night as the Los Angeles four-piece took to the stage in cheetah-print pants, folded bandanas, ripped tees, and enough hairspray to be considered an ozone threat. 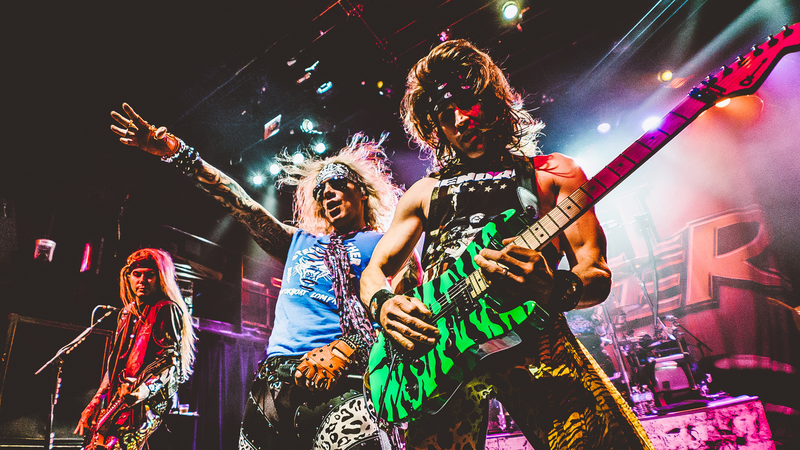 The sold-out crowd was beyond ready to hear the hair metal band do their thing, parodying the bands of yesteryear in full garb. 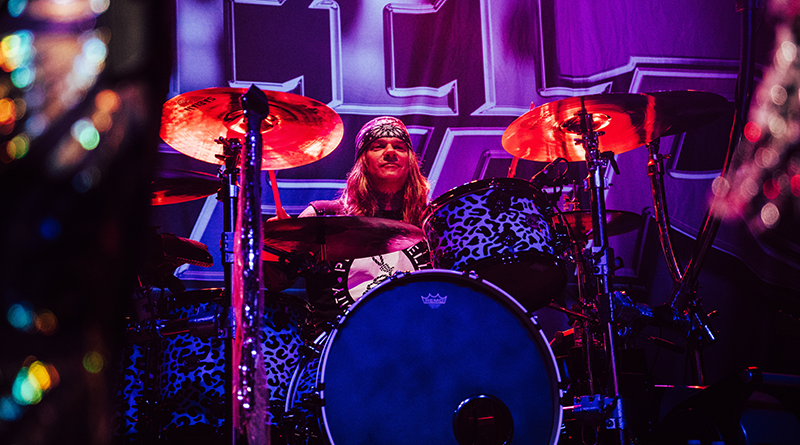 The first thing we noticed when walking into the historic venue? 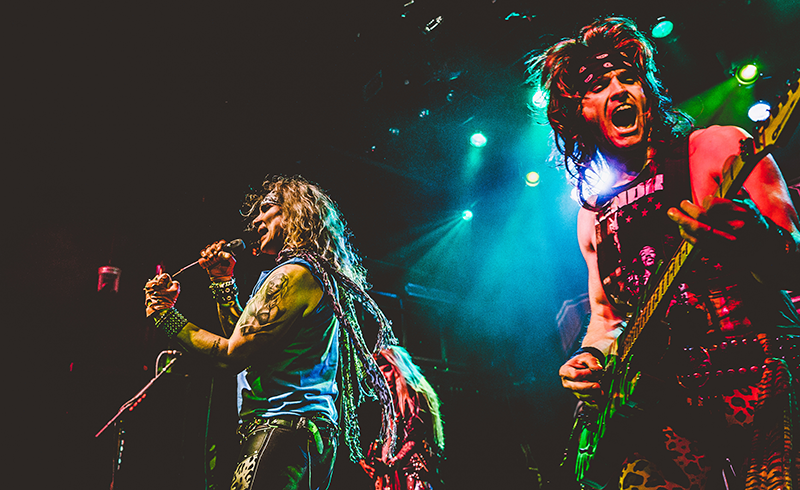 The lighting was A+, something that only intensified as soon as the band stepped onstage. 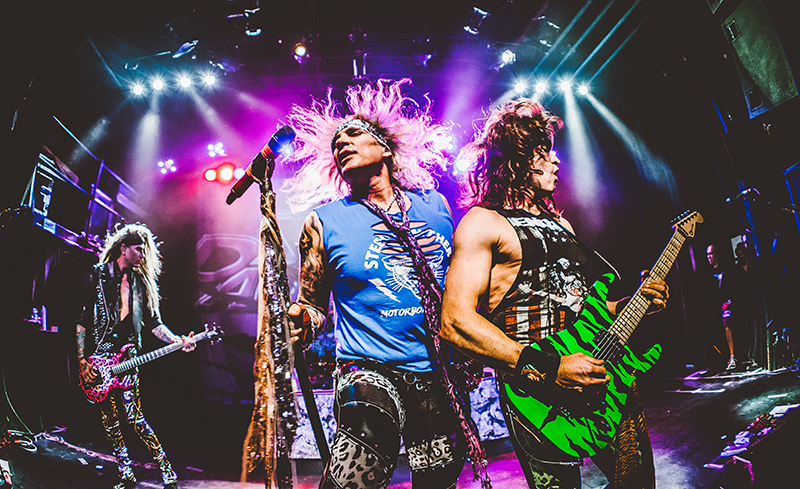 Also present was an industrial-sized fan, giving the band members—Michael Starr, Satchel, Lexxi Foxx, and Stix Zadinia—a wind-whipped look that one strives for post-convertible spin. 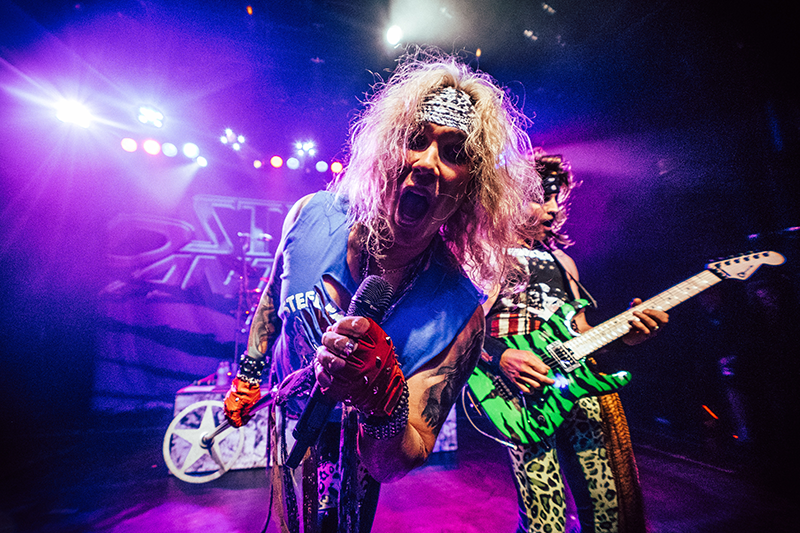 When they finally got ahold of the mic, it was half comedy show, half concert. 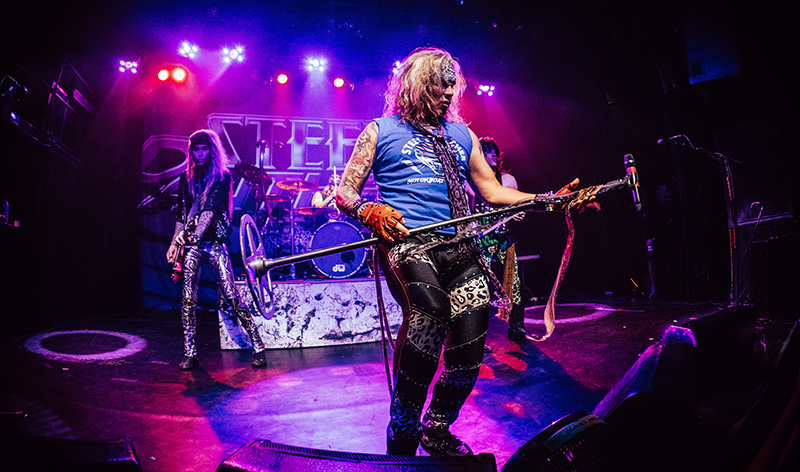 Lead singer Starr told the audience that they were very happy they had sold 325 copies of their latest album, Lower the Bar, to which the crowd laughed and the guitarist, Satchel replied, "Hey, 325 doesn’t sound like a lot, but it’s Platinum in many countries!" 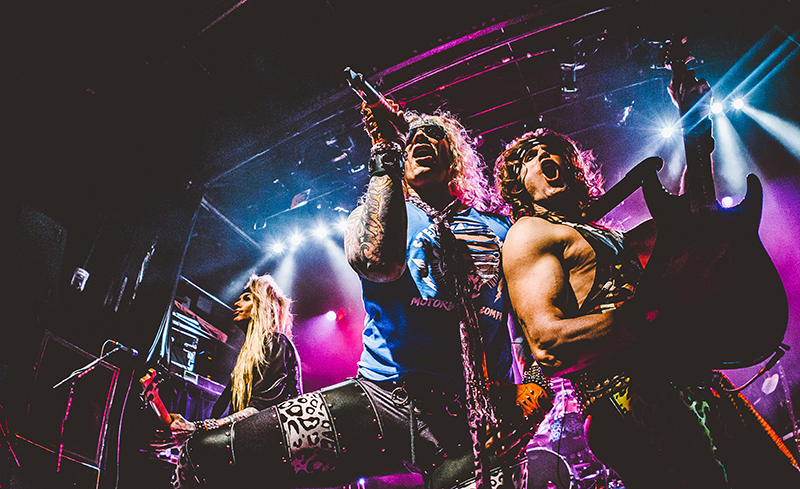 The band powered through some of their biggest songs like "That's When You Came In", "Anything Goes", and "Death to All but Metal" before hitting fans with a two-song encore for the books. 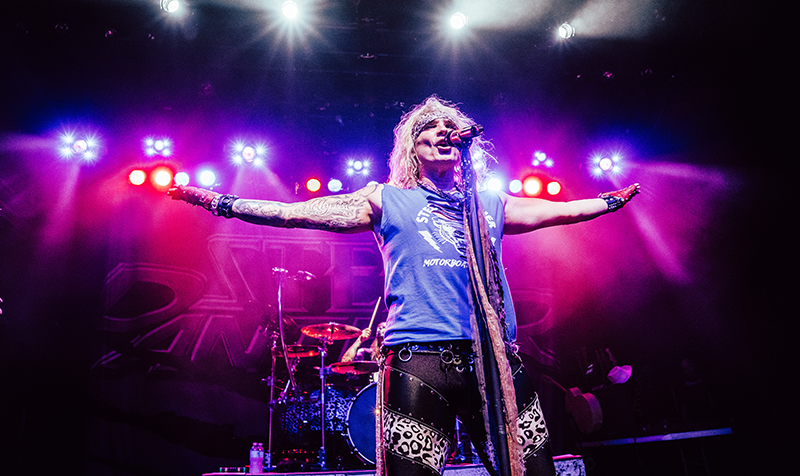 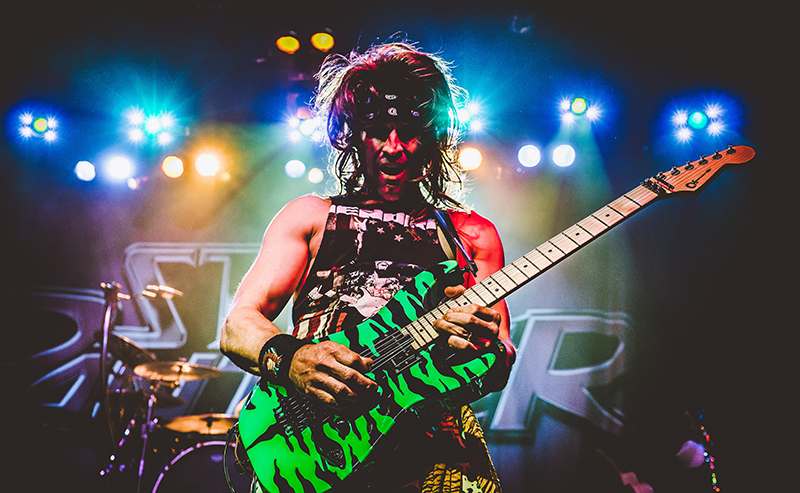 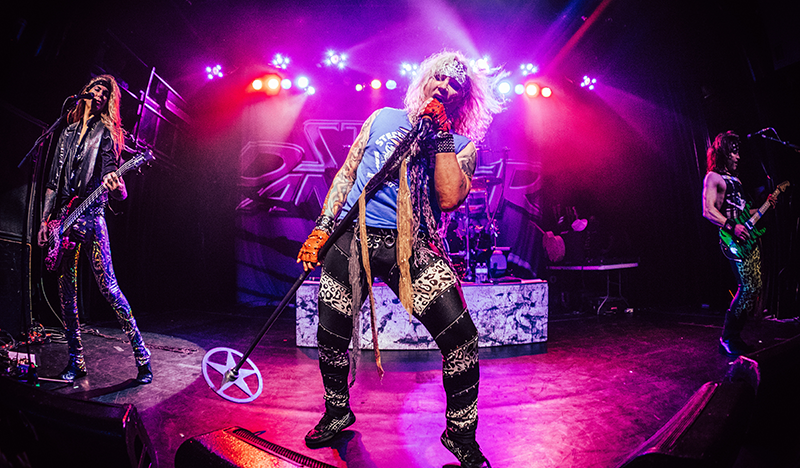 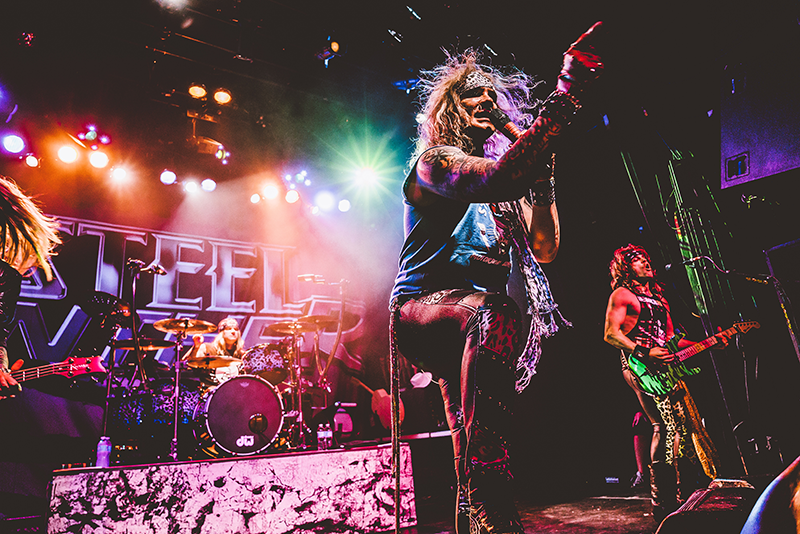 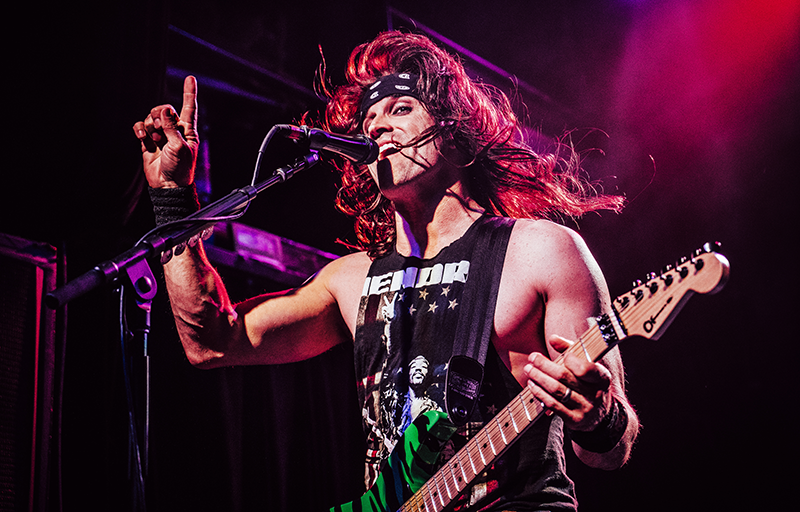 Check out our photos from the show below, then make sure to Track Steel Panther on Bandsintown!